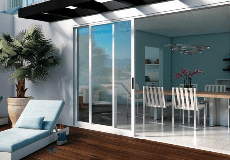 Discover what thousands of homeowners have to say about Milgard patio doors, new construction and replacement windows. After more than 50 years, Milgard continues to focus on providing homeowners with a Full Lifetime Warranty and the best ownership experience. Our passion for producing high quality windows and patio doors is driven by our unparalleled customer service. Please take a moment to learn what other homeowners say about their Milgard products. We hope it will help you make an informed purchase decision as we’ve found that our customers describe us the best. Milgard® Windows & Doors is rated 4.2 out of 5 by 3277.